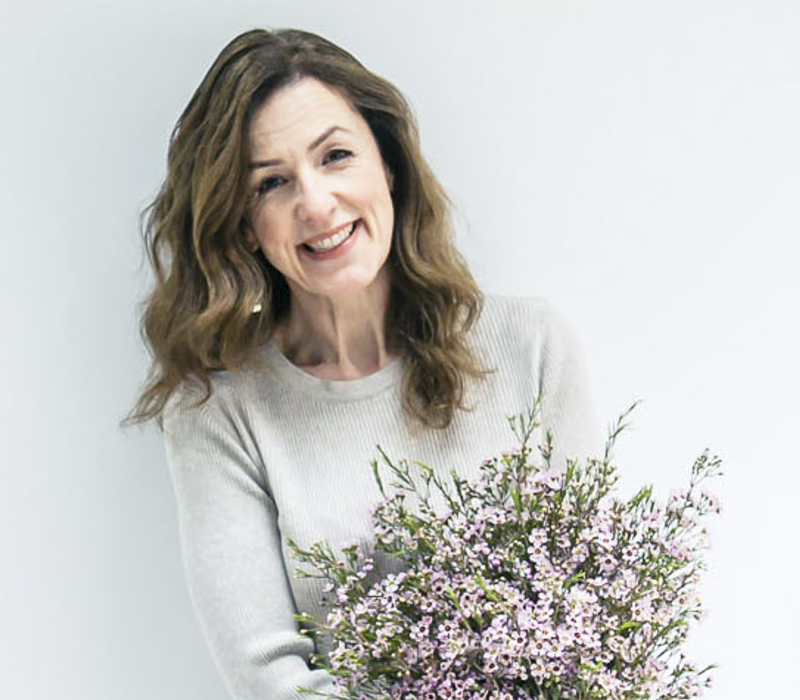 The RHS Future Florists Competition, previously know as RHS Floristry College of the Year Competition, continues to seek out and reward the very best students from floristry schools and recognised colleges across the UK. 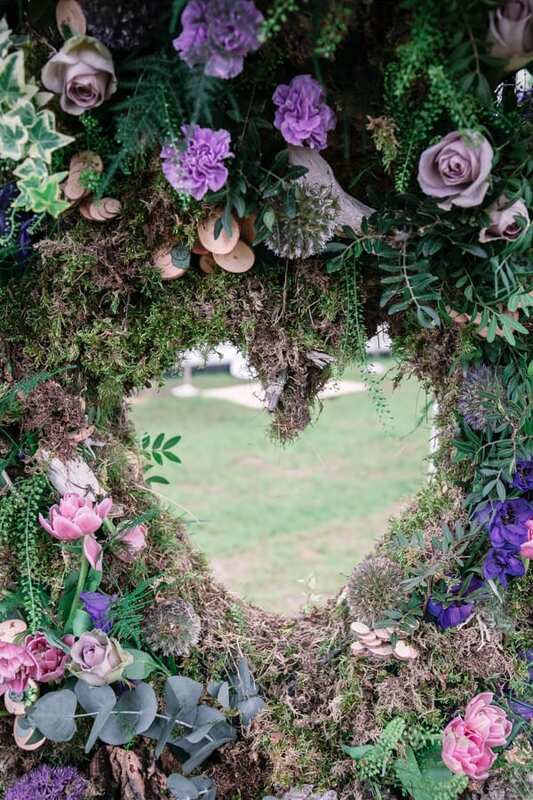 And with the RHS Chelsea Flower Show opening only three days after Prince Harry and Meghan Markle’s wedding, the brief this year was to create a floral arch for a spring wedding. 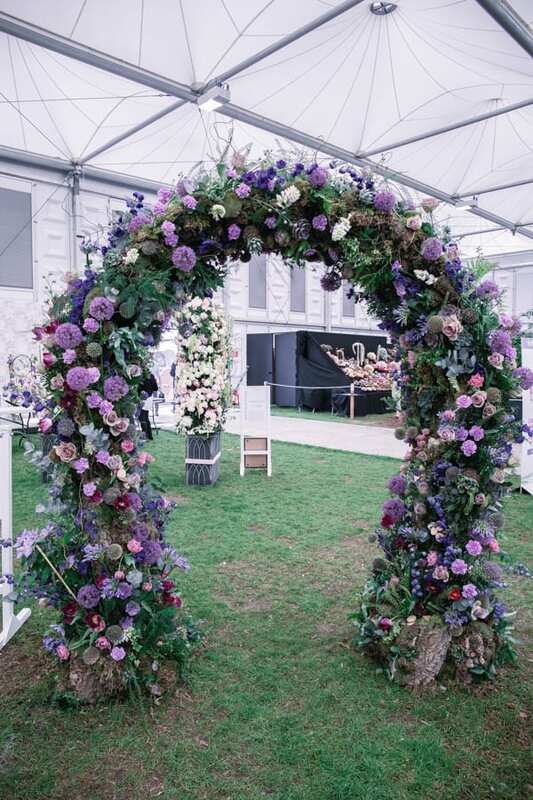 Designs by four colleges were on display in the Great Pavilion and this post features the arch created by four Higher Diploma floristry students from Capel Manor College. It was the first time the students had competed and they were asked to submit design ideas for the show as part of an internal college competition. 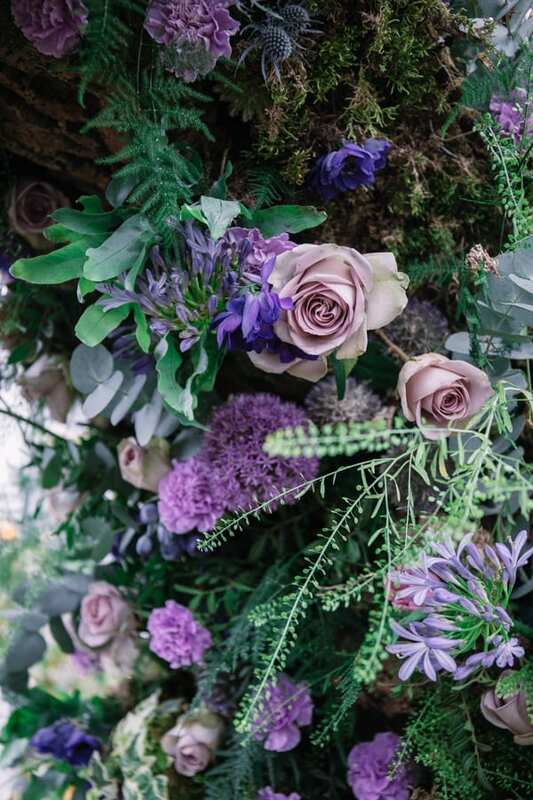 Their design, called ‘Wild Garden Arch’, was inspired by nature and featured a woodland theme with a lilac, purple, blue, pink and maroon colour palette. 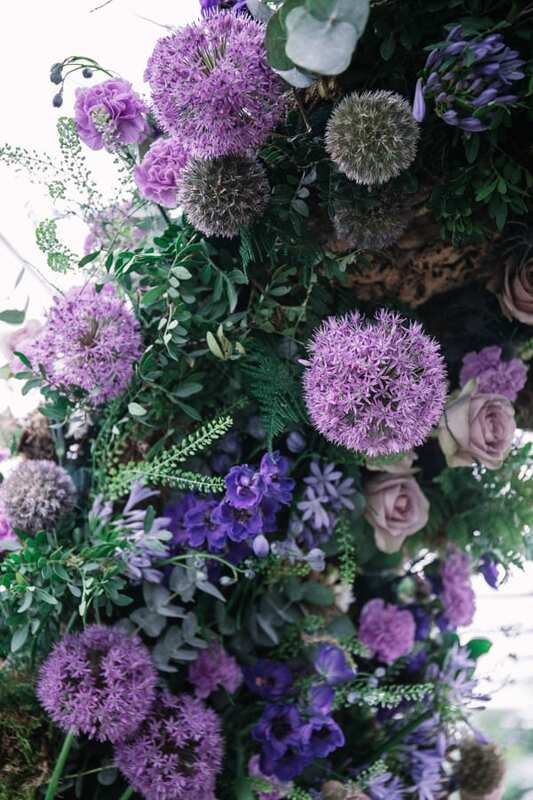 Featured flowers included alliums, carnations, roses, agapanthus, tulips and delphiniums, whilst foliage-wise, they used eucalyptus, green bell and ivy. 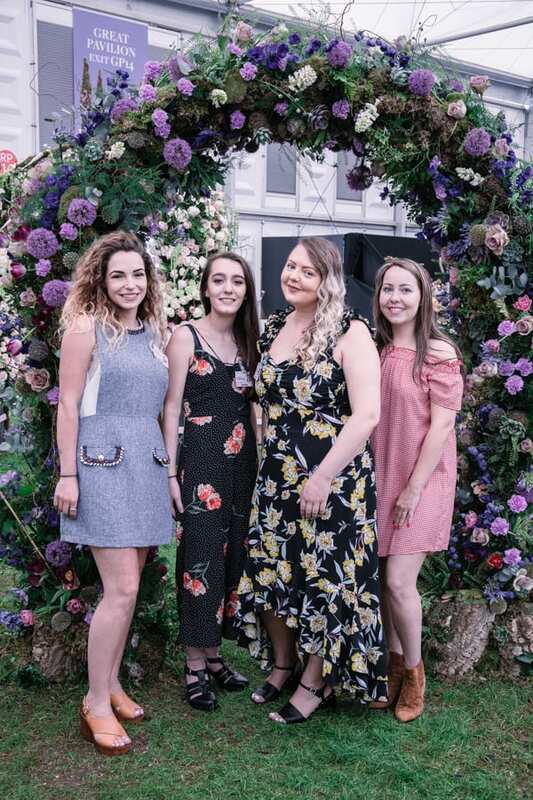 Many congratulations to the ladies behind the arch’s creation (left to right) Chelsie Richards, Leaha Meale, Laura Johnson and Charlotte Jefferson on winning a Silver Medal. 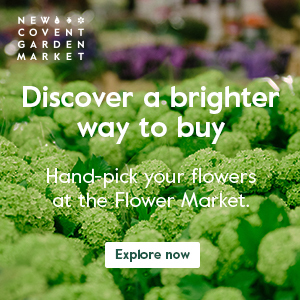 It was so lovely to meet you all last Monday!